The Zealandia Sanctuary is an otherworldly environment a mere three kilometres from the city centre. It is termed a “Mainland Island”; where the predator fence keeps mainland pests out and fosters the ecosystem within. Its surroundings constitute one of Wellington’s best trail playgrounds for the diversity of trails, the hilltop views, the reach into various suburbs, and a spectacular connector between other reserves. For our bike friends, this is one that you will enjoy too. The valley where Zealandia is located has an intriguing history. It’s been a working farm, a gold and quartz mine, a Wellington water source for over a hundred years, and is now an urban sanctuary. The Karori Sanctuary trust was launched in 1995, with the predator fence completed in August 1999. The perimeter of the fence protecting the Sanctuary measures 8.6 kilometres. You can meet real kiwi in their native environment in Zealandia on special twilight tours. If you are really, really lucky, you might see them by night stomping around even from the fenceline. The Wrights Hill Fortress was built during World War II. The tunnels are open to members of the public for tours, by donation, on most public holidays. A trail race named “The Gutbuster” used to run along this same route. This was the author’s first ever trail event. There must have been some magic in this trail, and there must be still something in it that keeps making us come back for more with glee. — Extended fenceline: 11.5 kilometres. This includes the plush rolling additions of Highbury Fling, Sawmill, Carparts, Turbine and the zigzags from Wrights Hill to Zealandia. Well worth it for the variety of trails and sights. — Fenceline only: 8.6 kilometres. This is for the perimeter of fence. If you hug the fenceline and stay close to the four wheel drive track, you will make your way around in about 9 kilometres. Elevation: 400 to 500 metres. Difficulty: The terrain varies from easy, to mostly intermediate, with some small sections of difficulty. These are generally not technical trails. In the colder (wetter) months you will want shoes with good grip. Wellingtonians will say that the trail is “undulating”, which means it is constantly up and down. It can get cool and gusty on the tops. Polhill Reserve can be a more sheltered option (and slightly shorter) as an alternative in those days of particularly Wellington elements. Estimated time: Generally about 1:30 to 2:15. You could speed around in 1:15, or walk in 3 hours. Start and end point: For simplicity we have started in Waipu Road, 100 metres from the Zealandia Sanctuary entrance. The beauty of this track is that you can connect at any point along the loop that suits you. Some access points might include George Denton Park, Highbury Fling (in Polhill Reserve), the Brooklyn wind turbine, Wrights Hill, or the Karori First Scout Hall. The route is described going clockwise, but you can also do it in the opposite direction. Directions: Start at the small carpark 100 metres from the Zealandia sanctuary entrance. Go up the zigzag pedestrian footpath on your left hand side (when facing the Sanctuary). There is a sign guiding you around the Karori Sanctuary circuit. Follow the path past a small education house at the top. Keep to that trail along the fenceline as you head uphill. Once you are at the four wheel drive track, veer left to start into Highbury Fling. You will follow Highbury Fling all the way to the end. Enjoy the peeks out toward the city through the trees. Once at Brooklyn’s Ashton Fitchett Drive, turn a hard right to head back uphill on the four wheel drive of Sawmill. When the fenceline is within sight, you can do a little detour to the gun emplacements and trig for views over the top of Wellington. Pause here for the view. Back at the fence, you’ll want to run for a short stretch until you see the trail going alongside a small road. Cross over this road to enter the Windmill trail. Run along the flowy Windmill trail before turning on your right. This will, appropriately, take you to the wind turbine. For bike friends: you want to follow Windmill up and the Carparts down. Windmill and Carparts trails are parallel. From the wind turbine the route is all along the wide path around the south western fenceline until Wrights Hill. This can be a little rocky and steep. Pick your footsteps carefully. It is worth the small detour to the top here, to have a look at the old parade grounds and (again) the gun emplacements. The view down the harbour is special indeed. It is now the home stretch. Follow the stairs down on the left of the lookout, where the trail winds itself downhill. It will zigzag down to the Scout Hall. Once at that hall, go about ten steps across the grass to the path heading uphill in the bush. Go up for a short time until you are back at the fence, following the trail until a signed left turn into the bush. Follow the signs to the Zealandia entrance while going downhill. There is a stream at the bottom, head over the small bridge, and then up for a short stretch. You’ll pop out onto Waiapu Road across from where you started. Well done! At our start and end point is the Zealandia entrance. They have an excellent cafe upstairs, Rata, where the Flight coffee may be calling your name at the end of the run. The food is well stocked both by menu and cabinet food, as well as a few excellent local craft beers and we rate the coffee. One of the loveliest parts is that the a part of the tables provides a view into the Sanctuary, so you can gaze out into the native bush that you just conquered while admiring the valley alive with native birds. Kelburn Village is a short walk along from Zealandia with sweet cafes and a local pub. After that there is a multitude of places closer to the city: Sprig and Fern on Glenmore Street, Hillside in Tinakori Rd, Garage Project and Arocafe in Aro Street are some local favourites. There is a water tap at the Zealandia entrance (outside) and bathroom facilities (inside). By bus, the most frequent is the number 3 Karori bus. Take this from anywhere in the city, and get off at the first stop after the Karori tunnel. Buses 13, 18, 21, 22, 23 will all also whisk you up this hill in the same direction. By car, park at the overflow carpark after the Karori tunnel on the corner of Birdwood and Chaytor. On foot, you can connect to the route from Aro Street by the Clinical or the Transient trails. 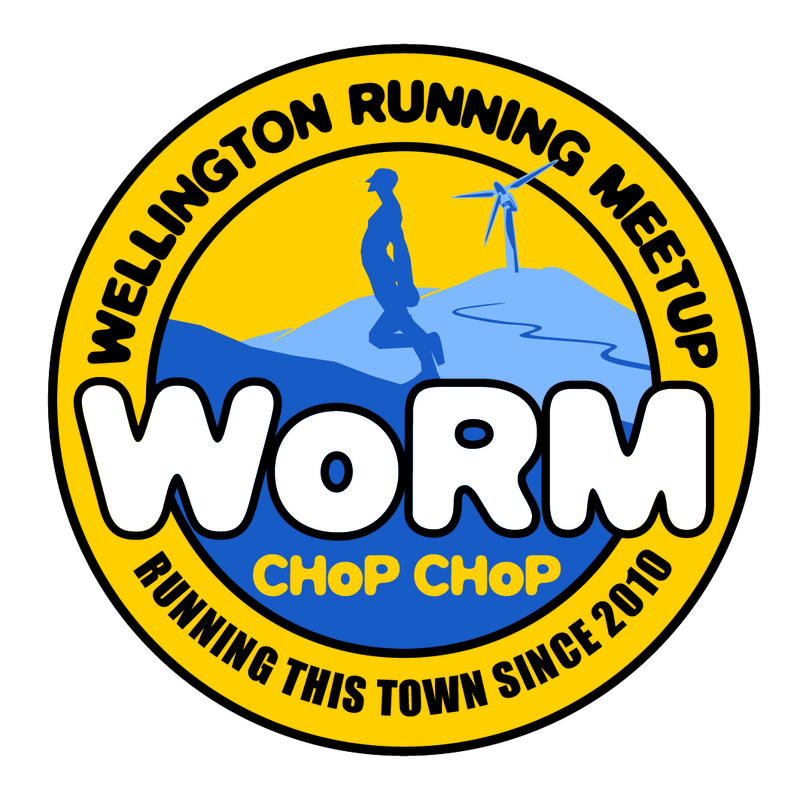 Alternatively, walk/run by road to the main Zealandia entrance on Waiapu Road. Planning to visit Zealandia at the same time? Do it! There is a free Zealandia shuttle from either the Civic Square i-SITE or at the top of the Cable Car (Upload Road, Kelburn).